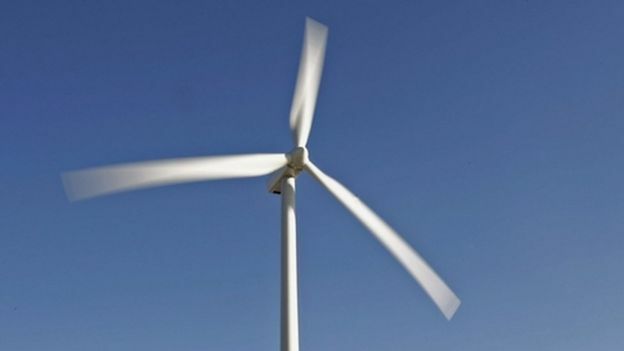 A pioneering project has been launched in Orkney to create a “green” electricity grid mixing renewable energy with battery technology. The “smart energy” scheme will use domestic batteries and electric vehicles to “balance” the local power network by meeting supply with demand. 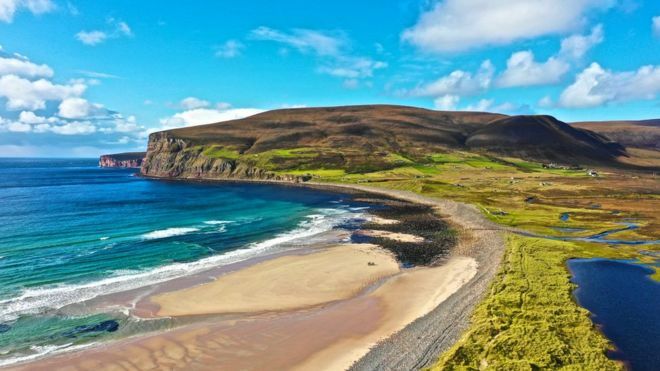 Orkney has been chosen because of its high take-up of “micro-generation”. Official figures show that 10% of homes create their own electricity – compared with a UK average of 2.8%. UK Energy Minister Claire Perry said: “What we are seeing here on Orkney is a test bed for the energy system of the future. “These smart systems are a key part of our modern Industrial Strategy and will provide cheaper, greener and more flexible access to energy for everyone. The £28.5m project will create a “smart energy group of islands” where software balances local supply, storage and demand. 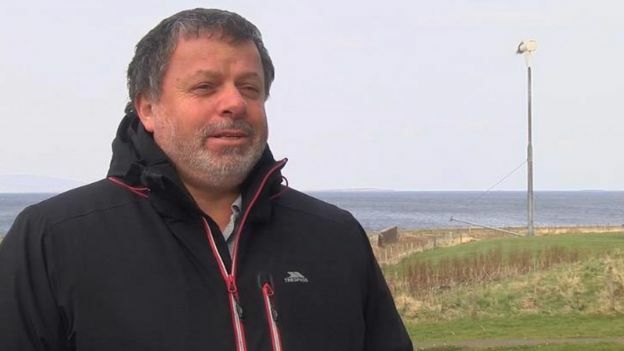 Gareth Davies from Stromness-based renewable energy consultants Aquatera, told BBC Scotland: “A key part of this project is to start building in local resilience and capacity within our local energy system. Existing infrastructure in renewable energy is capable of generating 130% of Orkney’s annual electricity demands. Adele Lidderdale, from Orkney Islands Council, said: “Electric vehicles are a really important part of this project. “At the moment, 2% of vehicles in Orkney are EVs and we’re looking to take that up to 10%. 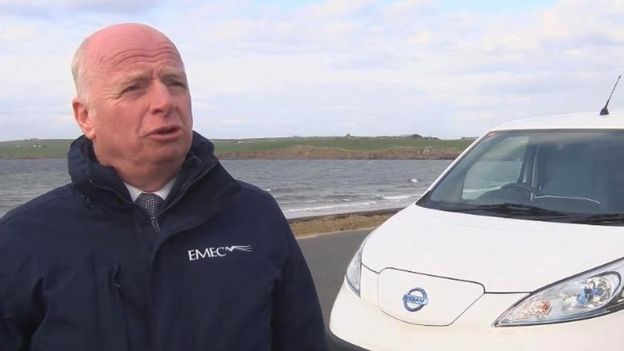 Neil Kermode, managing director of the European Marine Energy Centre (EMEC), added: “We think this really significant, not just for Orkney but for the UK as a whole. “We know we’re going to use renewables to power the system, we’ve got to find out how to do it.